Our Public Art Project -- A Community Mural! Being a Maryland A&E District means that public art is essential to our mission. In 2016, we started a public mural project and our goal was to include as many members of our community as possible. The mural is set to be a five large panels affixed to the side of the Visitor's Center. 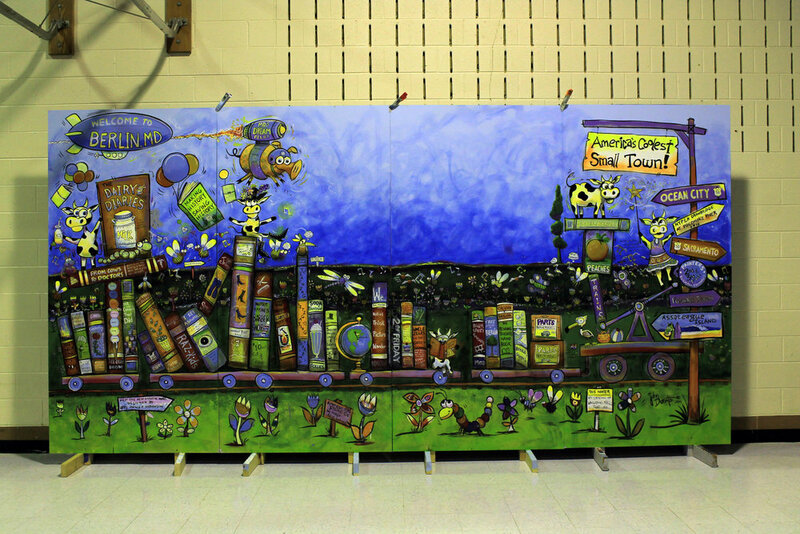 The first panel was completed by the 2nd and 3rd graders at Buckingham Elementary. You can see their handiwork below!